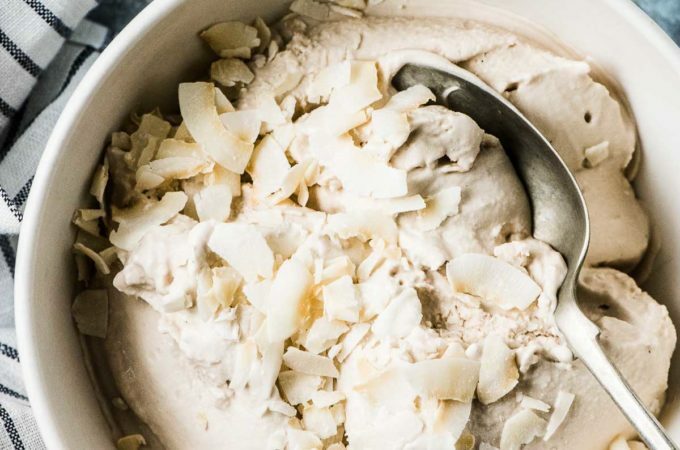 Vanilla Coconut Ice Cream is easy to make and INSANELY delicious. It’s made with only 3 ingredients (no refined sugar!) and you probably have them all in your pantry right now. What are you waiting for? Either serve immediately (my favorite!) or scoop the ice cream into a container and cover with a piece of parchment paper directly on the ice cream to help prevent any ice crystals from forming. Store in your freezer. Allow the ice cream to sit for 10 minutes at room temperature before serving.